I’ve discovered new poets as part of the reading challenge, and two of them have blown me away. One is Kendall Hippolyte from St. Lucia, and the second is Kayo Chingonyi from Zambia. In north-western Zambia, tribes have an initiation ritual for young boys called kumukunda. During the ritual, the boys live apart from the community and are taught skills that will help them in life. Chingonyi was born in Zambia but moved to the UK when he was six. This book is Chingonyi’s substitute for kumukunda. It packs so much in just 50 pages: what it means to grow up black in the UK, identity, racism, music, love and death. And it’s powerful stuff. In “Self-Portrait as a Garage Emcee”, Chingonyi writes affectionately of making mixed tapes as a boy, sneaking off with cassettes he hoped his mother wouldn’t miss. (Remember how big mixed tapes were before digital music and playlists came along?). He finds an unmarked TDK cassette and slips it in the player, only to hear his father’s voice asking him how old he was “in the slight twang of a lost tongue”. Music is the magic that transports him, as it has done so many others, giving him a space that is his own, away from the store detectives that stalk him, away from the “the look of disgust / on the face of a boy too young to understand / why he hates but only that he must”. After a cricket match, a boy in the locker room asks him why “I’d stand here, when I could be there, with my kind”. The poems follow Chingonyi as he goes to university and RADA (The Royal Academy of Dramatic Art). Auditioning for roles, he gets tired of playing “lean dark men who may have guns”. He moves to his own place and “learns to walk in a grown man’s shoes”. But his mother falls ill and eventually dies. languages keeps me from the truth I won’t hear. become a body, a stone, an empty hospital bed. He writes about Africa and colonialism. 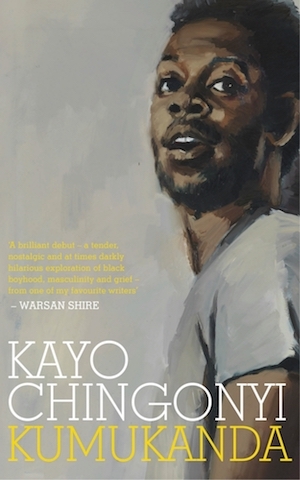 In “Kung’anda”, he contests the one-dimensional portrait of Africa in the media: the “broken man, holding / a dying child with flies around its mouth: / a story that didn’t tally with my mother’s / of childhood smiles on granddad’s farm / or the laughing dance across the hot soil / to the ice-cream stand”. that those who leave might never come back. watching the white limousine as it drives away. Get this book. You won’t regret it. I have several books of poetry on my shelf…and now, on my Kindle. I leaf (or swipe) through them in the spaces between fiction, when I am recovering from an intense or troubling story or when the weather puts me in the mood for contemplation rather than escape. There are some I return to periodically, like making a phone call to an old friend, in an attempt to find those pools of quiet in my noisy life. Mary Oliver, A K Ramanujan, Elizabeth Bishop, and good old Eliot. 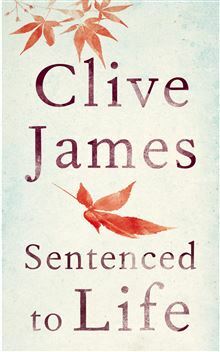 A recent happy discovery has been Clive James, whom I first encountered on a New Yorker podcast reading his very popular “Japanese Maple”–which you can listen to here. Reading through the poems is like spending a lazy Sunday looking at life in slow motion, stopping at moments that suddenly seem meaningful, telling you something about yourself, your vanities, your loves, and your frailties. Clive James recalls scenes from old movies (he is after all a film buff); in one we might suddenly encounter Catherine Zeta-Jones and in another, Ava Gardner. At other times he unearths cultural trivia (remarking that Tolstoy makes “a midget of your [Napoleon’s] memory”), but refusing to take any of it too seriously. Not all of it resonates, of course, and not all of it is lyrical, but there is enough in the slim volume to make dipping into it worthwhile, on a lazy Sunday afternoon. Do we lose something of ourselves as we scurry through life, running to make the next deadline and dealing with the mundane business of day-to-day life? David Whyte’s poems is a reminder of how important it is to come back to yourself and remember who you really are. To belong to yourself again. 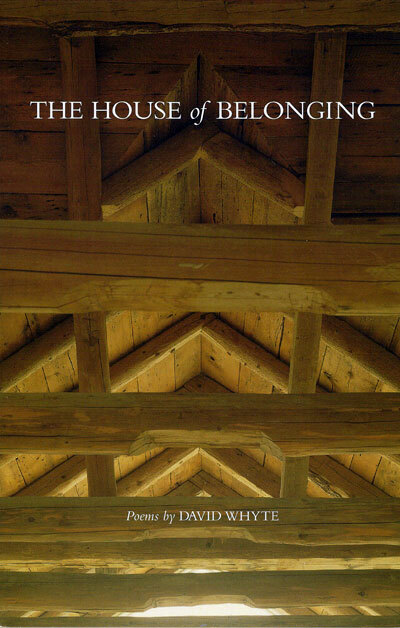 Whyte’s various ways of belonging are like ripples: himself and his house at the centre, “the bright home/in which I live”, the “temple of my adult aloneness/and I belong to that aloneness/as I belong to my life”. Moving out from the core are the places that shaped him: Yorkshire, where he is from, and the US, where he lives. The pull of centuries of history bind him to Yorkshire and run in his blood. His new home is a new beginning, an opportunity to be reborn. And finally, the outer ripples encircle those he knows and who are a crucial part of his life. Whyte’s poetry is sparse and deceptively uncomplicated, packing layers of meaning into simple phrases. And like all good writing, it is something to go back to because each reading yields something new. I have to thank my sister-in-law Gina for introducing me to David Whyte. Over the last few years, I’ve started reading poetry again, and it is a treat to discover a new poet who speaks to me. I will be going back to this collection time and again. These are poems written by a man who is sick and dying. But, surprisingly, this is not a depressing book. Clive James—a writer, critic, broadcaster and more—looks at his life and imminent death with honesty, clarity and a sense of humour. As he says in the acknowledgements, “you can say that you’re on your last legs, but the way you say it might equally suggest that you could run a mile in your socks”. There is no false cheerfulness—he is at the end of his life and not at all well, and there is no getting away from that—but in a strange way, I found it uplifting. Maybe that is because he appreciates how fragile and therefore how precious life is, and that is something worth being reminded of. James talks about the travails of being sick and frail, of taking more time to do everything—write, climb the stairs and walk down to his favourite café. But he keeps his sense of humour. My Latest Fever finds him on drugs at the hospital, hallucinating about Sylvester Stallone: “Teeth/were gritted… No one grits/Like Sly: it looks like a piano sneering”. The poems show a man still interested in the world around him, writing about subjects as diverse as female pandas, the wife of Bashar Al Assad and ham actors. That my repentance comes too easily. To sit with me on the stone balcony. My wooing, as a cunning stranger will. The overwhelming feeling in this collection is the preciousness of life, of living and appreciating every moment: “he feels the power/Of all creation when he lifts a book/Or when a loved one smiles at his new joke”. And of coming to terms with his life as it is now. His deafness, in a way, is a release: he does not have to guess at meanings at parties; he is content to sit there. “You were the ghost they wanted at the feast,/Though none of them recalls a word you said”. “My daughter’s choice, the maple tree is new. 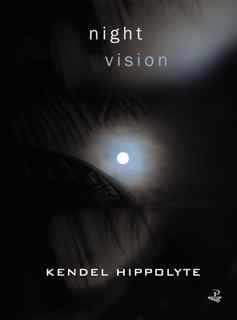 The blurb on the back of this collection of poems from Kendall Hippolyte, a Santa Lucian poet, says “He writes in sonnets and villanelles, in idiomatic dramatic monologues that capture the rhythm of Caribbean speech, blues and rap”. This juxtaposition of the formal and informal, the old and the new, intrigued me. And I was not disappointed. One of the things that comes through Hippolyte’s poems is his love of language and its rhythms, which he uses to capture moments—and sometimes eras—in time. Hippolyte’s poems are rooted in his country, the island of Santa Lucia. He worries about the growing distance between people; he writes about soulless high-rise buildings taking over the old, often poor, neighbourhoods, where people formed communities and looked out for each other (“shortcuts that hello past a back door”). He also writes about violence and crime on the island, and its history and beauty—“the uncounted, unaccountable acts of grace”. And he has written what I think is one of the most moving poems, called Mamoyi, for a child. Holding the child, Hippolyte “feels a vow so deep/it does not reach the flower and fade of word”, and he wishes the child “the trust, the self-astonishing joy that he has now/and he can draw from them the strength to make/his true path”. I am going to look out for more of his work, which for me was a discovery and a real pleasure to read.